Cedar Grove Elementary students recently designed bottle caps to reflect their individuality. The caps were all collected and arranged on a banner to surround a quotation from Dr. Seuss: "Why fit in when you were born to stand out?" Special thanks to our 5th leaders and Mrs. Grouss for creating the banner. This activity was part of the school's involvement in the No Place for Hate initiative. 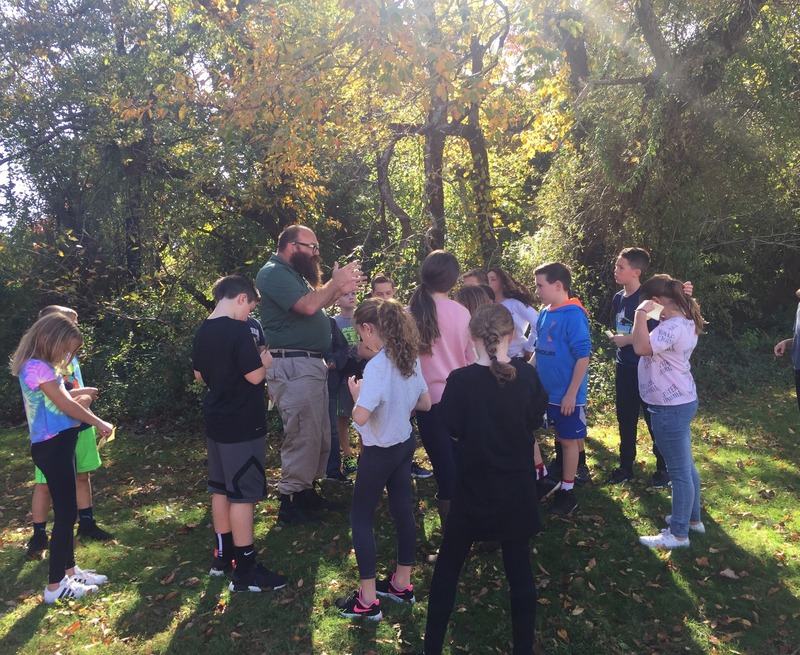 Ocean County Park's Chief Park Naturalist, Mr. Chris Claus, visited fifth graders at Cedar Grove Elementary. Students took a guided tour of their own school grounds and learned about all of the amazing plants, trees, animals and insects outside of their own classrooms!